This is a superb pair of antique earrings dating from the first quarter of the 1900s. 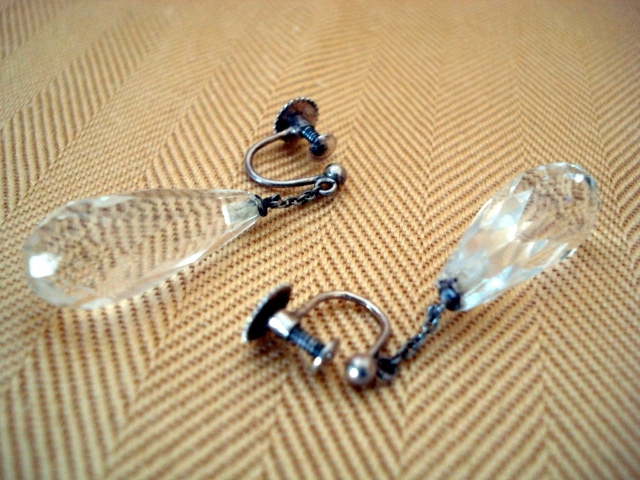 Natural clear Rock Crystal has been facet carved into large teardrop pendants and these rock crystal drops have been suspended onto a chain then fixed to sterling silver screw-on type earwires. 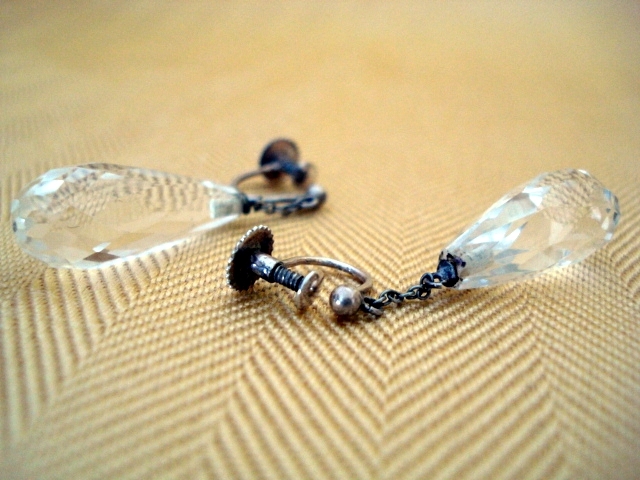 The cut crystal drops have so many facets that they really reflect the light as they gently move. Earring of this quality are hard to find. The condition is excellent. These lovely Antique earrings could be converted onto a pierced type fitting if required and it would not detract from their appeal. The original screw-on fixings could be kept and could be re-attached in the future thus not spoiling these jewels. 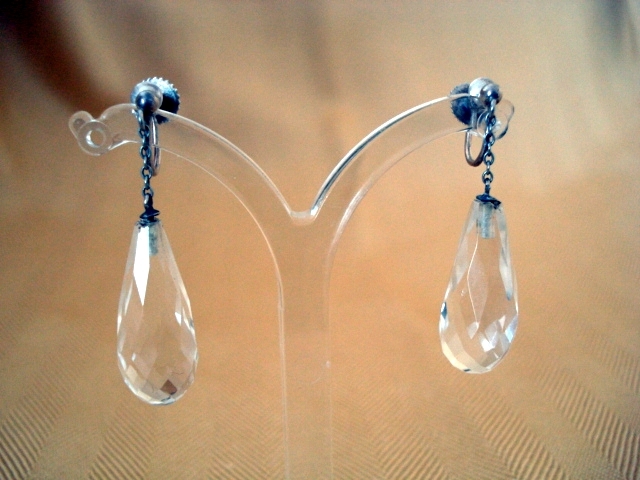 Each rock crystal drop measures 1 inch in length and a further half an inch is added to the length by the chain. These earrings would be perfect for a Bride!